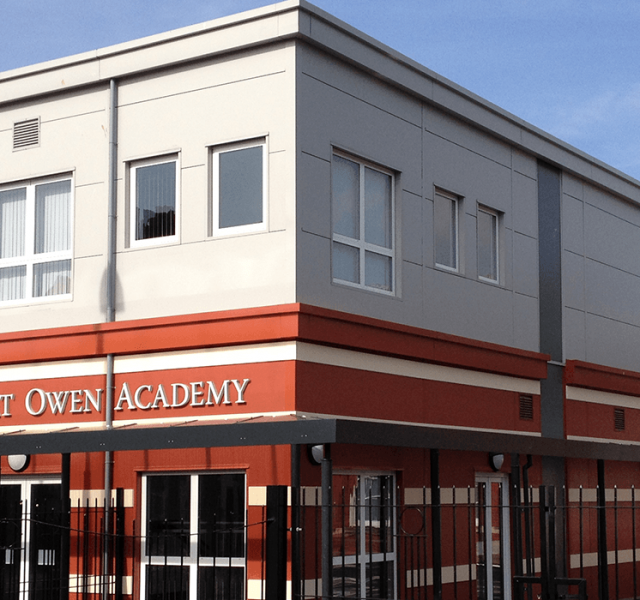 The Robert Owen Academy in Hereford, was one of the first recipients to receive re-deployed buildings from the London Olympics in 2012. The government and the Olympic Committee were keen to ensure that the buildings could be re-used or recycled making the London Olympics as green as possible. Fairoak construction needed some support and ARP were on hand to help. 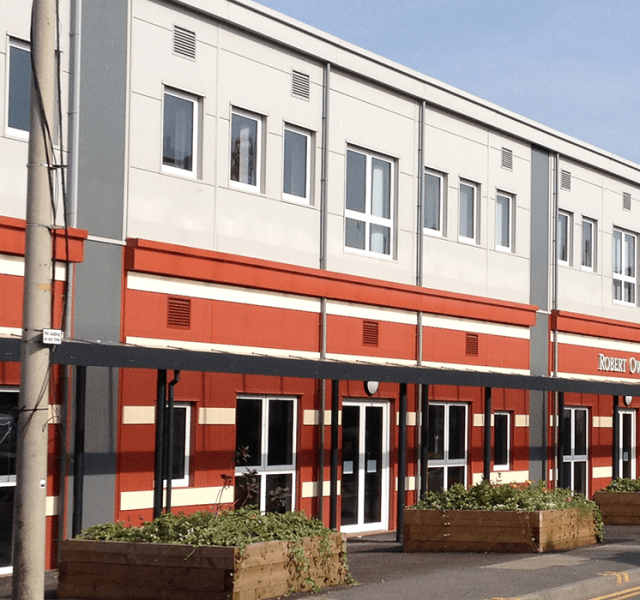 The brief was to provide the decoration in the form of light ivory (RAL 1015) powder coated bands which would fit to the building to bring it in line with its new environment. 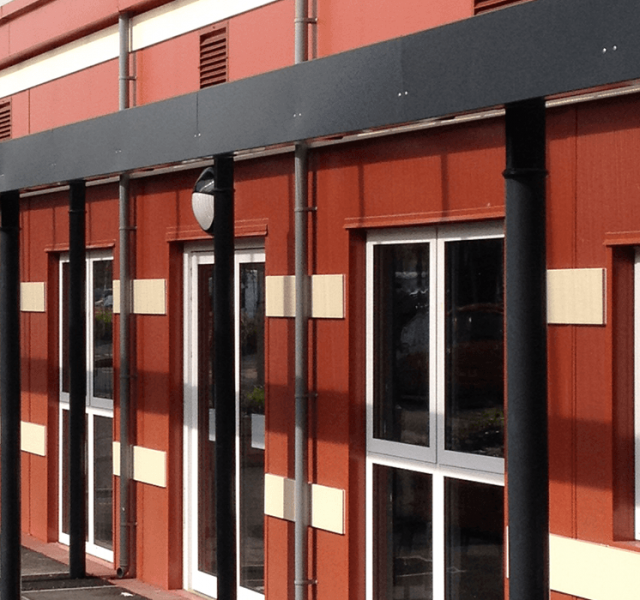 ARP’s Trueline Bespoke Fabrications were ideal for this solution, being made to the exact dimensions of the building. Our in-house CAD team were able to provide drawings to the client for approval prior to the manufacturing process starting. 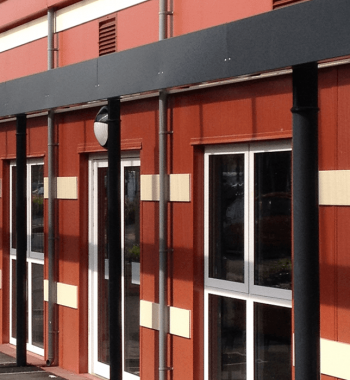 In total ARP specified, manufactured, painted and delivered 330 individual pieces to make up the bands for the building. Each piece was custom-made and painted in-house at our manufacturing facility in Leicester. 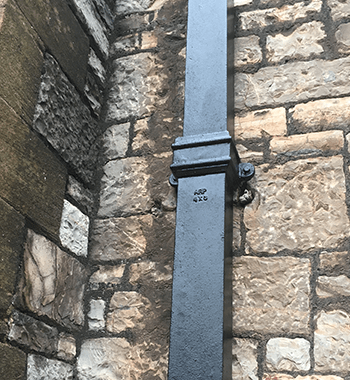 In order to speed up the installation process and to ensure the pieces were fitted to the right places first time – ARP coded the individual pieces so it was clear to the installers where each section should be fitted, saving Fairoak Construction a considerable amount of time. Aluminium bespoke fabrications are ideal for projects like this, due to its ease of formability. 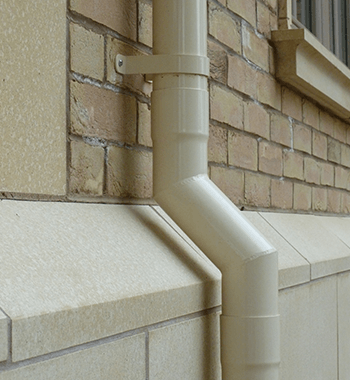 Made from 100% recycled aluminium, it is lightweight and non-corrosive, with a lifespan in excess of 50 years – making it a truly fit and forget system. 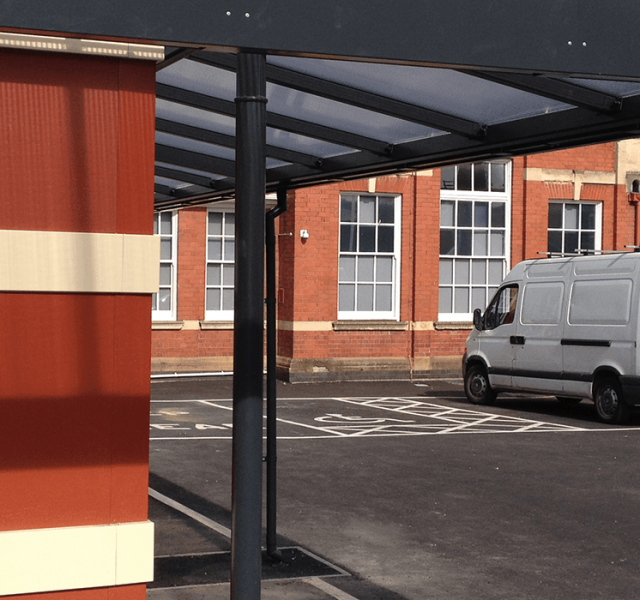 This project was constructed in a sensitive conservation area of Hereford city and was subject to strict planning constraints, that required a design that would match the features of and existing building in close proximity. We contacted Drew Robbins of ARP who preceded to carry out a full and detailed survey of every intricate section required and offered a design that was acceptable to our clients Due to the diversity and number of bespoke sections required ARP suggested that each section would be supplied with individual identification to marked up drawings supplied for ease and speed of installation. ARP delivered an excellent product on time with a clear and concise set of drawings which enabled the installation to be completed ahead of program, within budget and to the satisfaction of our clients.